They are just too young to have their worlds collide like that, Karen. Your gallery outfit is lovely, set for the cameo, hat or hat-less. Wouldn’t it be great if students showed up on their own will? Ha, ha, Mark. That is not my gallery outfit! 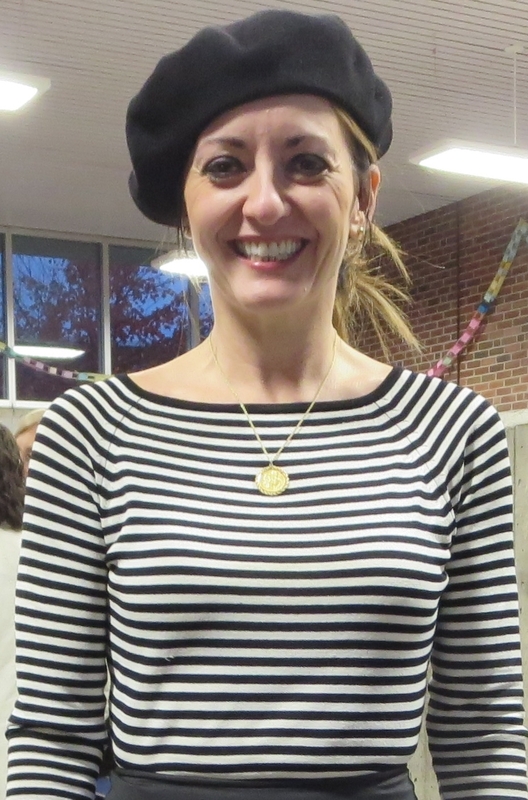 I just threw together a last minute Halloween costume for the school dance last week, beret with black and white striped mime shirt completed with French franc coin necklace and chignon. And P.S., no one can really handle having their worlds collide. I’m doing my best to keep all of my own worlds in the air but juggling is not the easiest trick.